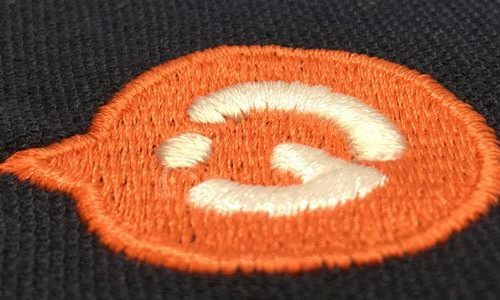 At Garment Printing, we have specialist embroidery services available for those who are in need of getting their logo of design embroidered onto their clothing. Our service is designed for everyone, from single orders right up to large businesses, which require a large number of embroidered staff uniforms. We use Madeira threads from the Madeira classic range, including classic rayon 40 and poly neon 40. Embroidery provides a permanent and fantastic finish, which is guaranteed to not wear over time. We achieve this by using fine threads, which are then cleverly stitched together to accurately recreate your designs and your brand logos and ensures that your employees represent your brand perfectly. Our state of the art digitising and embroidery machinery allows us to offer our specialised embroidery service and it also allows us to embroidery on high-quality clothing which includes T-Shirts, sportswear, shirts, jumpers, hi-visibility clothing, footwear and much more. Unfortunately, it isn’t always possible to achieve exact replications of your designs and logos if they feature a large number of colour tones and shading. In this case, we might have to substitute threads for a similar colour. However, thanks to our high-quality machinery, we are able to ensure the highest quality finish. Remember, embroidery uses single colour threats and stitches to recreate your design and, for this reason, we always check your logo or designs first to ensure that it can be replicated. Some designs may require modification before we are able to embroider them. For example, any text which is below 4-5mm may need to be enlarged and any designs which feature fine detail throughout may need to be simplified in order to achieve the best finish.